Moms Should Have Fun, Too! Who said kids should have all the fun? Francine Major was always the manager of her boy’s hockey teams when they were growing up. Until another hockey mom urged her to hit the ice herself, that is. 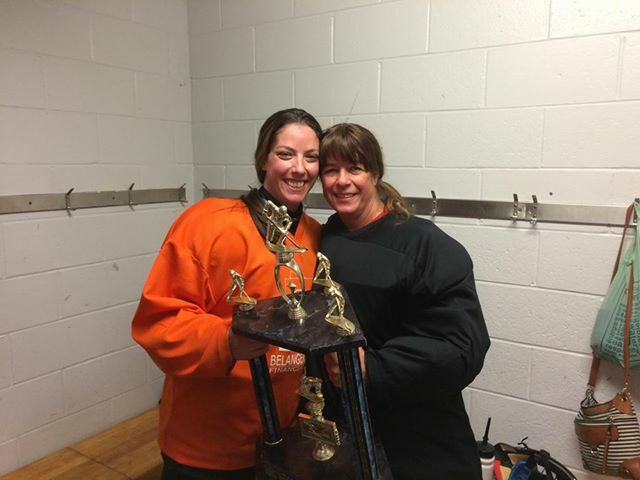 At age 37, Francine took the ice for the first time as a goalie in a beginner’s league. Her passion on the ice grew, stating, “I just love it, especially when I make a save”. Now at age 55, her and her 29 year old daughter play together on the same team. Her grandchildren even occasionally come and cheer her on. Playing on two teams in different leagues in the winter and another team in the summer, Francine just can’t seem to stay away from the ice. “I just can’t stop”, she says. For Francine, it’s not only a great way to stay active, she also loves the social aspect of playing hockey. “After 19 years of playing with the same group of women we have become some of the best friends”, says the netminder. Don’t let your kids have all of the fun - join a league with your girlfriends and try it out for yourself. Hockey doesn’t discriminate and it's never too late to get into our country's game.